It was Gujral who first mooted the idea of close cooperation between Russia, India and China, in the post-Cold War-era. 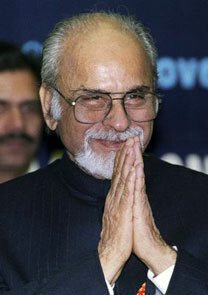 Late former Indian Prime Minister Inder Kumar Gujral was best known for his “Gujral Doctrine,” a set of five principles based on India’s unilateral commitment to generously accommodate its smaller neighbouring countries in the region, in trade and other bilateral relations, without expecting reciprocity from them. The Doctrine instantly earned him the rare praise to make him internationally famous as a “scholar statesman,” like India’s first Prime Minister Jawaharlal Nehru, who propounded the “Panchsheel,” the five principles of peaceful coexistence between the newly independent countries, in the mid-1950’s. In this regard, the imprint of Nehru’s foreign policy on “Gujral Doctrine” of five principles to conduct Indian diplomacy with its neighbours was quite evident. Paying his homage to Gujral, the Prime Minister Dr Manmohan Singh aptly called him a “great patriot” and a “great scholar statesman,” on December 1. “In the sad demise of Gujral, our country has lost a freedom fighter, a great patriot and a great scholar statesman. I join the nation in expressing our grief and sorrow at the demise of great son of India,” Singh said. Gujral aimed at making the “Gujral Doctrine,” as the set of five principles of Indian foreign policy authored by him was first named by Gujral’s friend and academic and columnist Bhabani Sen Gupta, a vehicle of foreign policy to bring regional peace and prosperity. However, as a visionary leader, his foreign policy innovations were not confined only to its four corners. As Indian External Affairs Minister he continued with his initiatives in the realm of foreign policy concerning with Asia and Eurasia. It was Gujral who first mooted the idea of close cooperation between Russia, India and China, in the post-Cold War-era. It is with this purpose that he had sought a meeting of the three foreign ministers during his visit to Moscow, even a year before the-then Russian Prime Minister Yevgeny Primakov proposed a trilateral strategic alliance between Russia, India, China (RIC), during his visit to New Delhi, in December 1998. Interestingly, at that time Russia cold-shouldered Gujral’s idea of closer interaction between Moscow, New Delhi and Beijing which he had proposed to his Russian counterpart Primakov during his visit to Moscow, barely a year ago. It so happened that Chinese Foreign Minister too was in Moscow during Gujral’s visit and the External Affairs Minister proposed to Primakov the idea of a meeting of the three foreign ministers. But Primakov did not approve of such a meeting, even of the two visiting foreign ministers of India and China, on the Russian soil, thus scuttling the move by Gujral. So far as Primakov’s proposal in New Delhi is concerned, it may be recalled that at the start of his visit, after the ceremonial reception at the Rashtrapati Bhavan, he told reporters that he personally favoured the concept of establishing a triangular strategic alliance between Russia, India and China. Apparently much water had flowed down the Moskva River after Gujral had sought the meeting of Russian, Indian and Chinese Foreign Ministers about a year ago since Primakov’s proposal. Russia had grown “wiser” by its own realisation that it had lost its position as a Superpower after the collapse of the Soviet Union in 1991, with the US remaining as the only Superpower in the uni-polar world. It may also be recalled, at that time the Russian foreign policy, initiated by the-then Foreign Minister Andrei Kosyrev, under the First Russian President Boris Yeltsin oriented itself towards the US and Primakov was seeking to correct the course by advocating a policy of multi-polar world to oppose the global hegemony of the US. Exactly, at that time the idea of forming an Asian triangle of Russia, India, China came into existence. “If we can succeed in establishing a triangle, it will be very good,” Primakov said in New Delhi. But his concept at that time remained a mere concept, as he did not raise the issue during the talks with his Indian counterpart. The main reason for Russia not raising the issue during the talks with the Indian side, was that originally both Beijing and New Delhi were not inspired with the perspective of Moscow’s triangular strategic alliance. As a result, Primakov’s concept for the creation of a triangular strategic alliance, which was known as “Primakov’s triangle” in the Russian media, proved to be merely an impromptu, off-the-cuff remark, for which he did not put any concrete proposals to India. Russia seemed to have informally proposed the idea of a triangular strategic alliance to test India’s willingness to join a largely symbolic gesture of defiance to the US, in the post-Soviet-era. During Primakov’s visit, the-then Prime Minister Atal Bihari Vajpayee answering a question, poured cold water on the informal Russian proposal for triangular strategic alliance involving China, saying while Indo-Russian relations were time-tested, “so far as China is concerned , we are trying to improve and normalise our relations.” China too was very cautious in its reaction to the Primakov’s proposal. Although Gujral’s “aborted” approach to the close cooperation between the three countries, generated little enthusiasm in Moscow, at that time, Russia, India and China, later began to recognise the importance of enhancing their triangular ties to safeguard their strategic interests, at the turn of the century, especially after the wars launched by the US in Afghanistan, Iraq and former Yugoslavia. In September 2000, before the President Vladimir Putin’s visit to India, speaking at a seminar “Indo-Russian Togetherness in the New Millennium” in New Delhi, organised by the Foreign Policy Research Institute, Gujral again returned to the theme of Russia-India-China strategic alliance. In his speech at the seminar, Gujral not only stressed on the importance of India and Russia identifying their “common threads” but also advocated a strong Russia-India-China trilateral partnership. “China is our neighbour. Both (India and China) are strong nations…Population wise also, we are perhaps unmatched. So we must come together,” he said, adding that “commonality of interests says we must cooperate,” he said. At the same time, Gujral also underlined India’s keenness to forge friendship with all countries and warned of ganging up against a particular nation (the US). “We must remember that the Cold War is over. We should not make friends against somebody,” he said. As a visionary and scholar statesman, Gujral as Prime Minister and External Affairs Minister never lost sight of the closer cooperation and geopolitical interaction between Russia, India and China at the regional and global level. It was a part of his world vision which had nothing to do with joining one or the other camp. “India had never believed in the Cold War ethics. We were resolutely opposed to those forces that sought to align the world into competing and adversarial camps. The end of the Cold War and dramatic developments, changing the relationship between the Russian Federation and the United States, changes of developments and the systems of governance in the Eastern Europe and the positive interaction between Russia and China, have opened up new vistas for Indian foreign policy,” he said in his address as External Affairs Minister at the Council for Foreign Relations, New York, on October 3, 1996. Since the time, Gujral for the first time sought a meeting of the Russian, Indian and Chinese foreign ministers during his visit to Moscow, the Russia-India-China (RIC) triangular cooperation has gradually evolved into a new strategic entity in the past years to reckon with on the global scene. The trilateral cooperation which kicked off with the meeting of leading scholars from Russia, India and China, in Moscow in September 2001, has now reached a stage where stand-alone meetings of the three foreign ministers are regularly held alternatively in each of the three countries. Gujral’s vision of the trilateral partnership has started bearing fruits.